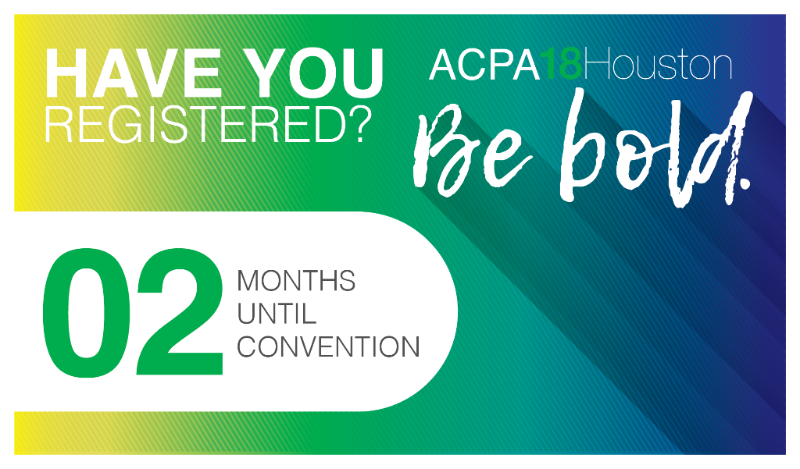 Countdown to ACPA18! - Two Months! Two months from today, final preparations will be underway for the official start of the ACPA18 Convention in Houston, Texas USA! From 11-14 March, ACPA18 will provide an opportunity for colleagues across the globe to come together in person and virtually to engage in the issues taking place on our campuses and within our organizations. Opportunities to get actively involved within ACPA Entity groups – a great way to engage with colleagues in similar functional areas or identities. If you have not registered, make your plans to be a part of the ACPA18 experience! The regular registration deadline is Friday, 9 February 2018. To learn more about ACPA18, please check out the website or feel free to reach out directly atrplaza@scu.edu or conventionprograms@acpa.nche.edu.